You may miss the convenience of full hook-ups… but the park is well maintained and there are several restaurants and attractions within walking distance. The area around Quechee Gorge (“Vermont’s Little Grand Canyon”) has developed over time to include gift shops, restaurants, motels, mini-golf and “Quechee Gorge Village”, a popular antique and craft shopping area complete with an old fashioned merry-go-round and steam train rides. It sounds like your typical tourist trap, but all this is neatly located on US Route 4 just outside the campground entrance and isn’t at all gawdy. Actually, we liked the fact that we had a selection of things to do, considering the fact that our campsite had no electricity. The campground is 611 acres perched above the spectacular 200′ deep Quechee Gorge, one of Vermont’s true natural attractions. You can enjoy the view from the US Route 4 bridge or hike down the winding trails into the gorge. Very nice, and really not too difficult a trek to the bottom. The park itself has few amenities but the rest rooms are clean and the showers are hot. There is also a dumping station on the property. 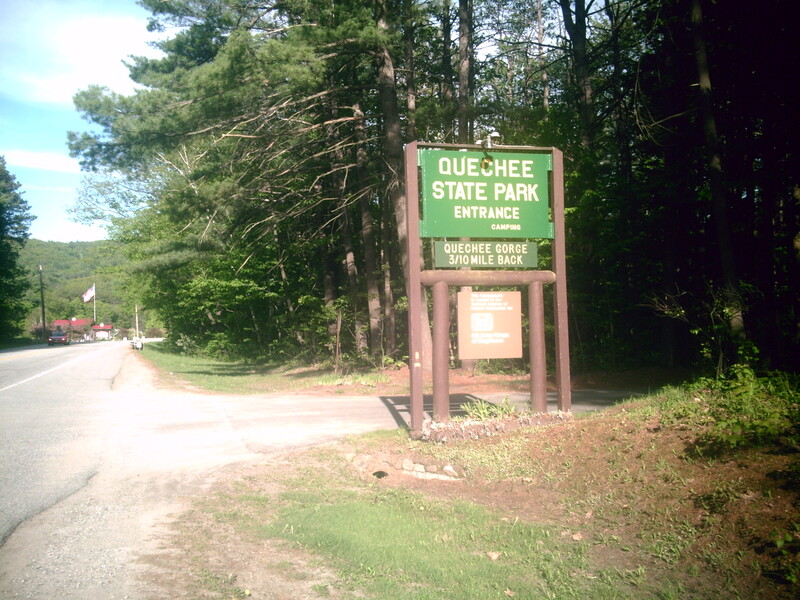 The Quechee/Woodstock area is a great place to explore and the campground is centrally located. Area attractions include the Marsh Billings National Historic Park, Billings Farm Museum, Simon Pierce Glass Blowing and Pottery Shop, the Calvin Coolidge Homestead, St. Gaudens National Historic Site and the Vermont Institute of Natural Science. 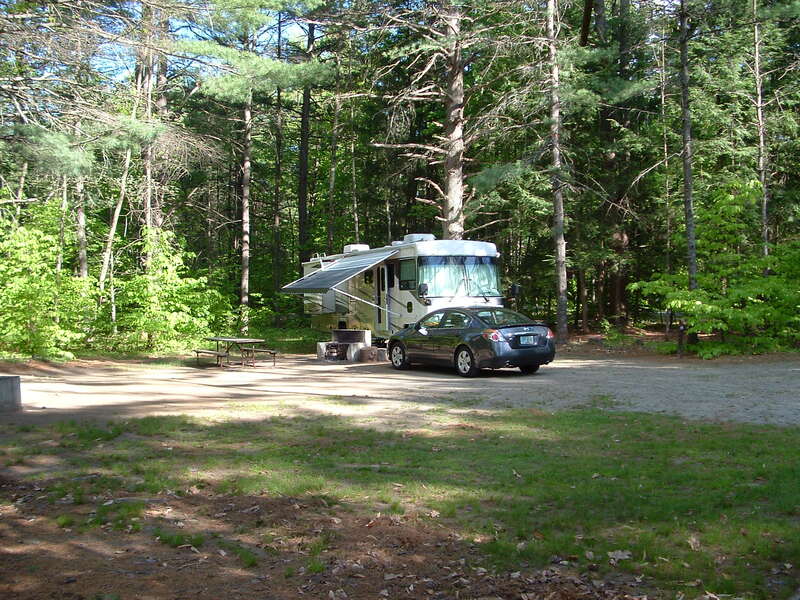 If you can get over not having full hook-ups, this is a great campground and even better area to explore.